Empirical Science’s mission is to fill the gap between mainstream science education and industry needs. Schoolchildren, home-educated students and many adults in the UK have learnt science and modern technology (STEM) mainly through bookwork. We provide opportunities for the local community to practise science in our laboratories, acquiring a deeper understanding of concepts, and increasing their curiosity and problem solving skills. A pilot exercise offering laboratory science to school students was trialled by our sister technology conusltancy Empirical Science Ltd throughout 2013 which confirmed the latent interest of our prospective customers and also revealed the desire for teachers to teach without formal assessment. ESL employed a small team of former secondary and primary science teachers who rediscovered their own enthusiasm for practical science and were able to communicate it to the students in our labs. Empirical Science Education CIC was formed in September 2015 as a not for profit social venture providing laboratory skills support to Education communities around Nottingham. 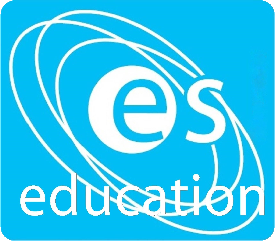 Uniquely in the UK, ESE delivers science education through individual hands-on laboratory study – learning by empirical investigation. This embeds a sound appreciation of science theories alongside practical analytical skills in an active, not passive, learning environment. Empirical Science intends to become a first line of resource for private students needing to embed sound practical science alongside their mainstream academic learning and a high quality reputed laboratory education support service for schools. Our vision is to establish a strong reputation for delivering profession–relevant analytical experimental science in the Nottingham region and then to replicate this in selected regions across the country.